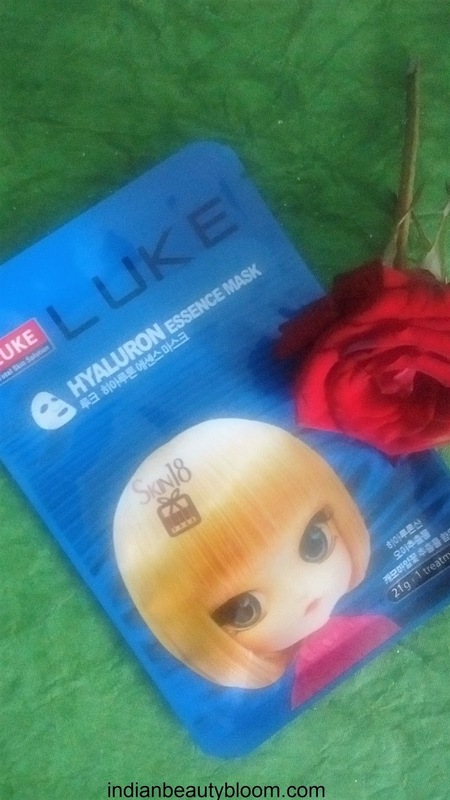 Today i am going to review one more product from Skin18.Com ,its Luke Hyaluron Essence mask which is a type of sheet mask . Skin18.Com is a Hongkong based site which sells Korean skin care products like sheet masks , BB creams , ampules etc. One can find wide range of products in affordable range at this site . They ship internationally so any body from any part of world can place order and get their product at their door step . This sheet mask is a type of thick tissue paper which contains glycerin, fruit extract, flower extract , aloe extract etc. One needs to place this on face (after cleansing and toning ) and leave it for 20-30 minutes and then take it off , then massage the remaining moisturizer on the face and neck . It moisturizes the skin and keeps it hydrated . The sheet comes in an individual pack , one needs to open the pack and use it . Its for single use . Product packaging is quite good . At the back side some images are there to show how to use the product . Price : 2.60 $ for 1 sheet . The product claims to provide intensive moisturizer to skin and balance the oil level . To Revitalize the skin . 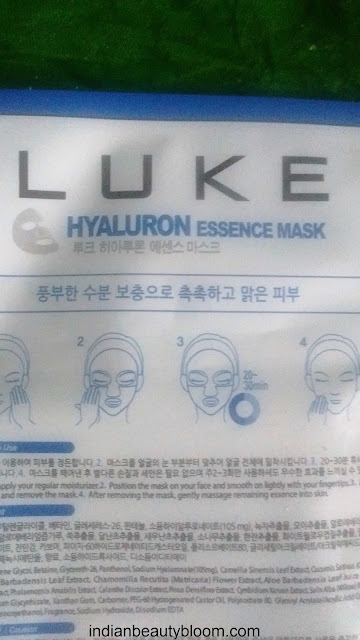 I have used several other sheet masks from Skin18.Com before and all were good , this one is also good . One feels fresh after using this . 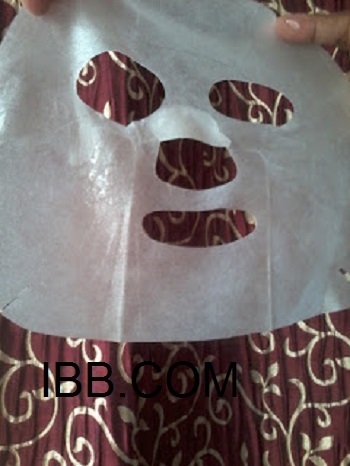 It does hydrates the skin and one does not needs to apply moisturizer after using this sheet . 2.Travel friendly pack , can be easily carried in a bag or purse . 4.Sticks to skin and does not falls off . 5.Completely moisturizes and hydrates the skin . 6.Good for all skin type . 7.Contains fruits and flowers extract . 1.Availability might be an issue as available only on online store of Skin18.Com, not available in local market . 2.Many product information is written in Korean Language which is difficult to understand , it would have been better if it was in English .